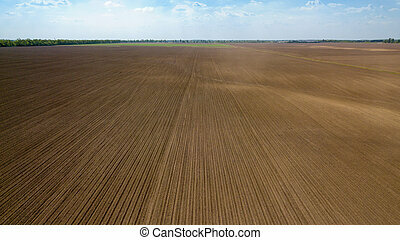 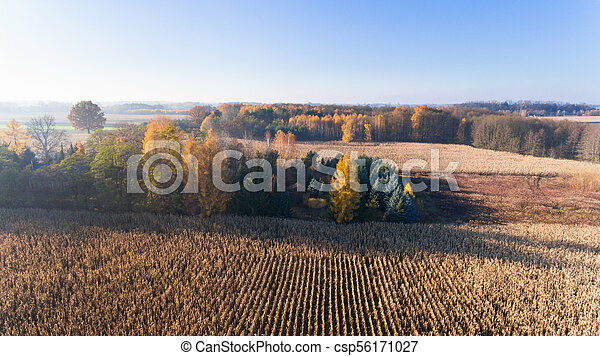 Aerial drone view from above of corn field after harvest, forest and farmland in autumn sunset. 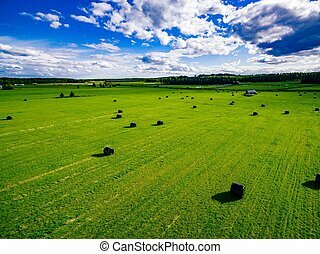 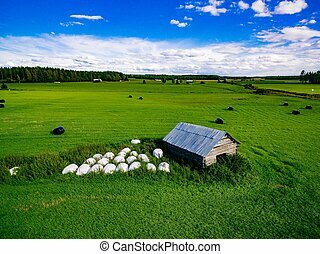 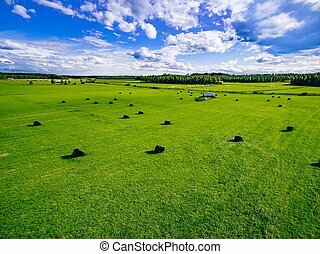 Aerial view of round straw bales in black plastic in green field in rural Finland. 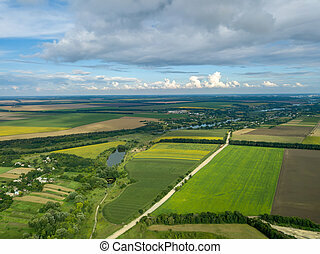 Beautiful countryside landscape. 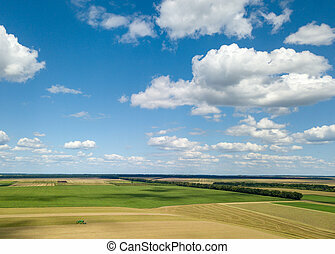 Aerial panoramic view from drone of agricultural fields with harvesting of a combine and blue sunny sky, white clouds in a summer day at sunset. 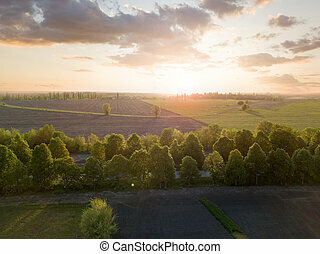 Panoramic view from the drone of landscape with greenery of forests, agricultural fields on the background of the cloudy sky at sunset in green and black colors. 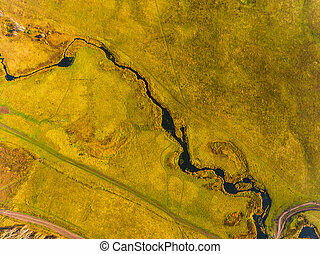 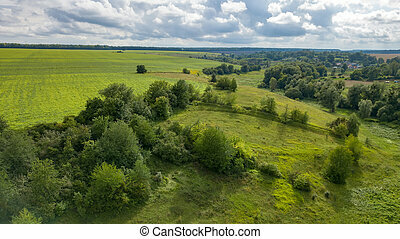 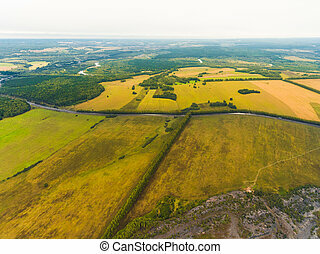 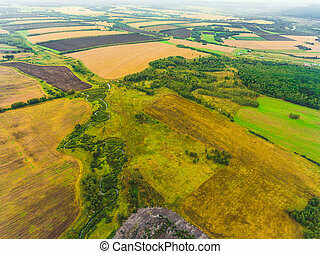 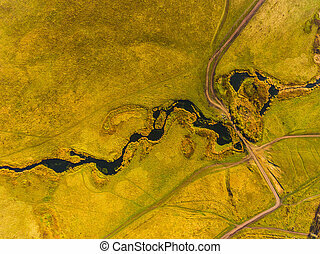 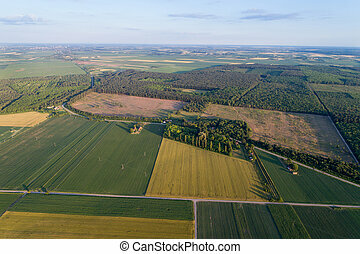 Beautiful aerial view from a bird's eye view to a rural landscape with a village, dirt road, river, forest and agricultural fields of planted crops at summer time.